One hundred and forty years ago, farmers in this area found it very difficult to obtain insurance protection. All the insurance companies were located “back east” and charged very high premiums to insure anything west of the Mississippi. Realizing the need for low cost insurance protection a group of farmers in the Eden Township of Benton County got together and organized Eden Township Insurance Association. It was on January 25, 1872, that the first meeting was held. Nine area farmers served as the first Board of Directors. 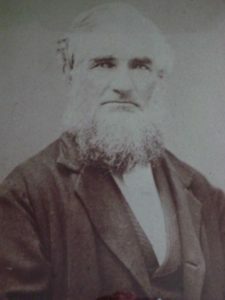 John M. Inman was the founder of Eden Mutual. His brother’s great, great, grandson, Roger Inman, served as Board President for 14 years, retiring in 2010. On the third Thursday in March each year, the annual meeting is held. Every policyholder has a vote as to who will serve on the Board of Directors. There are nine directors serving three year staggered terms. Local control and ownership keeps the mutual responsive to the needs of its insured. The purpose of the mutual is to provide insurance protection at cost while maintaining adequate reserves to maintain a financially strong insurance association. 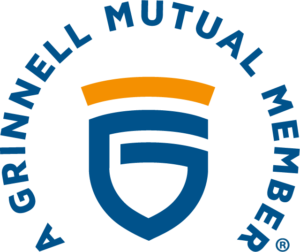 Eden Mutual is reinsured by Grinnell Mutual Reinsurance Company (the world’s largest reinsurer of farm property). Insurance for the farmer and homeowner is Eden Mutual’s only business. Eden Mutual insures farms and homes located in Benton County and counties that adjoin Benton County. These include Black Hawk, Bremer, Buchanan, Cedar, Clayton, Delaware, Fayette, Grundy, Iowa, Jasper, Johnson, Jones, Keokuk, Linn, Louisa, Mahaska, Marshall, Muscatine, Poweshiek, Story, Tama and Washington counties. 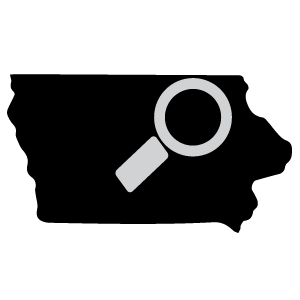 Please see our list of independent insurance agencies by clicking here.